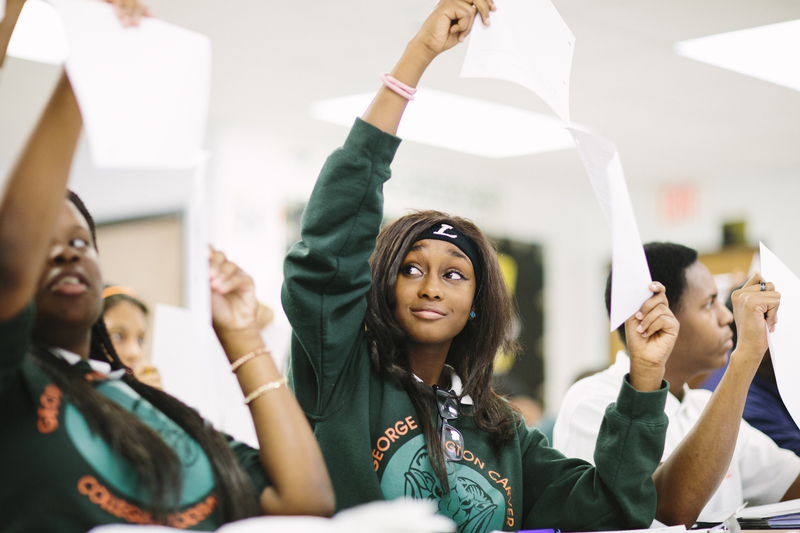 George Washington Carver opened its doors to 9th graders in the fall of 2012. Now serving scholars in grades 9-12, G.W. Carver honors a strong Carver legacy offering students personal attention to their academic and social needs. 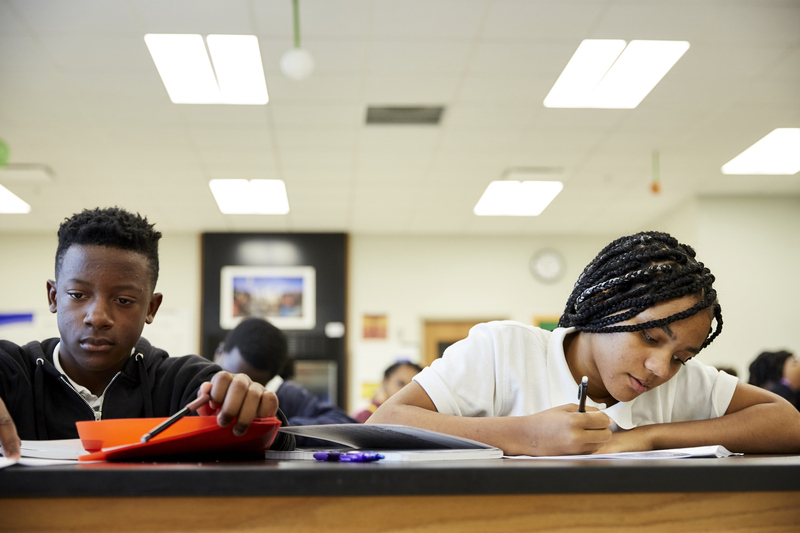 We offer AP courses, tutoring, and small group intervention classes to our scholars to ensure that everyone is prepared for college success. G.W. Carver also offers a wide range of co-curricular activities, including sports (football, basketball, volleyball, and track), arts (marching band and visual arts), and clubs (Diversity Club, debate, gaming & strategy). 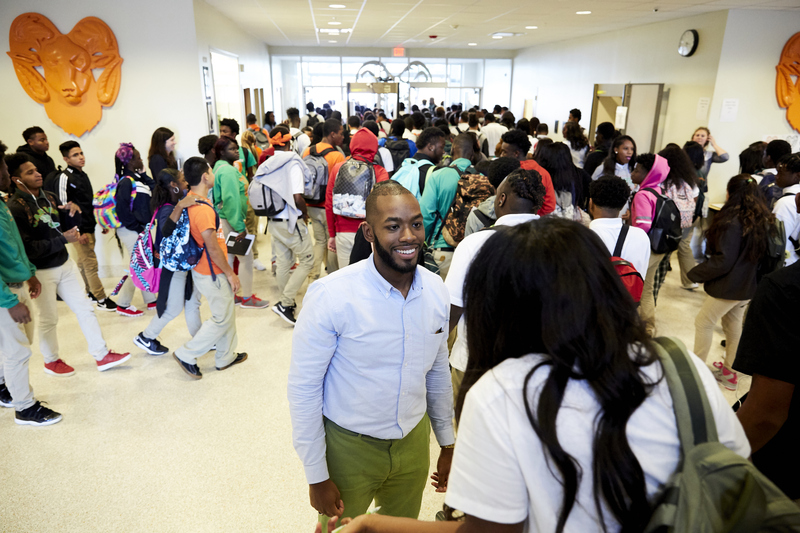 George Washington Carver opened its doors to 9th graders in the fall of 2012. Now serving scholars in grades 9-12, G.W. 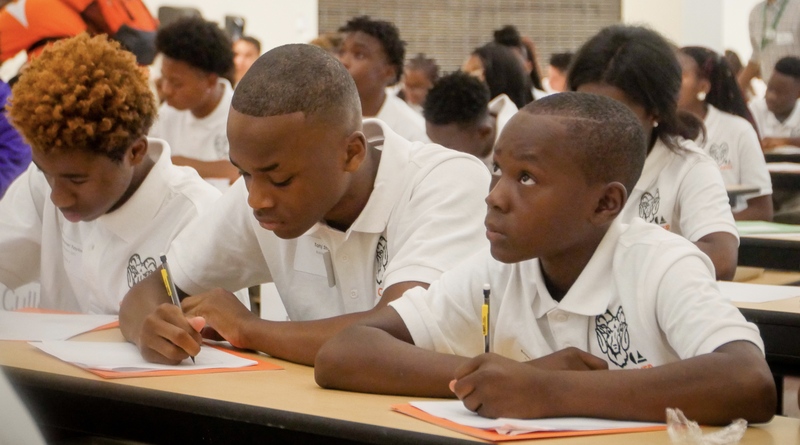 Carver honors a strong Carver legacy offering students personal attention to their academic and social needs. We offer AP courses, tutoring, and small group intervention classes to our scholars to ensure everyone is prepared for college success. G.W. Carver also offers a wide range of co-curricular activities, including sports (football, basketball, volleyball, and track), arts (marching band and visual arts), and clubs (Diversity Club, debate, gaming & strategy). Jerel is the principal at G.W. Carver High School. Jerel received his B.A. in History from Yale, with his senior thesis on the impact of the war time experience on black African troops in South Africa after the Second Boer War. Teach For America brought him to New Orleans in 2007. He taught English language arts for two years in Central city. In 2009, Mr. Bryant joined the Sci Academy faculty to teach Civics to the class of 2012 and lead the Yale advisory. As a humanities teacher and dean at Sci Academy, Mr. Bryant’s teaching directly contributed to Sci Academy sophomore Graduate Exit Exam scores in English Language Arts; during the 2009-2010 school year, 80% of our scholars achieved a score of Basic and Above. 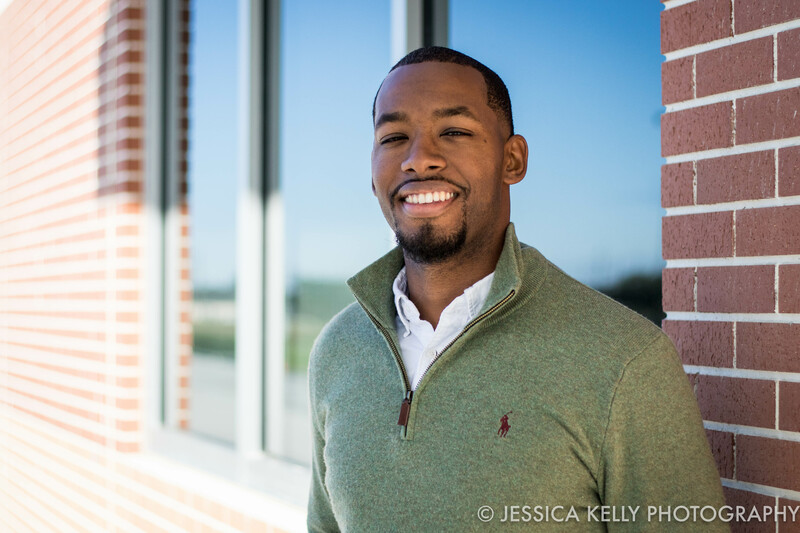 Proudly from East Harlem, Jerel is also proud to have served the communities that he has the opportunity to serve here in New Orleans. Jerel says he believes that CA will confront anything, regardless of the challenges, if it is ultimately what is best for kids. Grades 9-12: Scholars who identify as female may wear sanctioned plaid pants or plaid skirts. Skirt must be 2 inches above the knee or longer. Solid color tights may be worn under skirts. Pants may have only four pockets. Cell phone/cargo pockets are not permitted, and neither are frays, tears, or holes. Pants must be worn at the waist or hip level. GWC reserves the right to determine if a scholar’s pants are too tight or too loose. If deemed so, the pants are in violation of the uniform. Buckles may not exceed the width of the belt. Shoes must cover the toe and heel; no slippers or sandals may be worn. Socks and shoelaces may be any color or pattern. They may not display any drug-related or inappropriate language or symbolism. Inappropriate socks must be removed. Grades 9-12: Outerwear of one solid color. No additional designs, words, or colors. All outerwear must be worn over the Carver polo or other sanctioned school shirt. Scholars without an approved shirt underneath the sweatshirt will be considered out of uniform. Unauthorized outerwear may be confiscated upon arrival. Scholars can pick it up before dismissal. Sweaters or sweatshirts, including Carver-issued and college sweaters and sweatshirts, cannot have a hood. Unauthorized outerwear may be confiscated upon arrival. Hats, bandanas, shower caps, du-rags, stocking caps, flexi rods, satin caps (bonnets), and sunglasses are not allowed during the school day. They will be confiscated upon arrival. Should the scholar refuse to remove or turn in these items, parents will be notified immediately. Scholars may not clip items to their pants. Any items that dangle from the waist (like wallet chains) are not allowed. Bags must be large enough to hold all school materials, including but not limited to books, binders, paper, and supplies. The school reserves the right to disallow any large or otherwise inappropriate accessories. Any exceptions to school dress code based on religious observances must be presented to the Principal. Scholars must adhere to policies outlined for dress down occasions as mandated by the occasion.